Recommended Use: For brush application onto hand or mechanically prepared surfaces giving excellent wetting and adhesion characteristics. 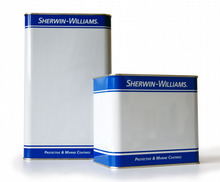 Suitable for atmospherically exposed surfaces but not recommended for exposure to severe chemical environments. May be spray applied to blast cleaned surfaces. Recommended where low temperature curing is required or where rapid overcoating is necessary.